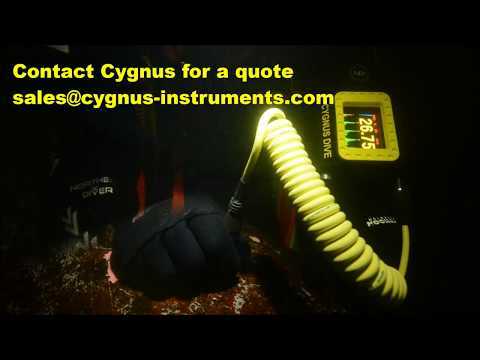 Cygnus Instruments Ltd is the leading UK manufacturer of surface and underwater ultrasonic thickness gauges used for detecting the remaining metal thickness, without any need to remove coatings. Cygnus ultrasonic thickness gauges incorporate three versatile measuring modes in one unit; the Multiple-Echo technique for accurate readings through coatings up to 20mm thick, as well as Single-Echo and Echo-Echo techniques for surfaces with heavy back wall pitting. Built to be extremely rugged and tested to Mil STD 810G environmental standards, these new gauges can withstand being dropped, submerged in water and are sealed from the ingress of dust. The range benefits from features such as; A-scan and B-scan, comprehensive data logging and versatile reporting software. Come and visit us at stand PO101 for more information. \Cygnus ROV Mountable - 2km. Flooded Member Detection (FMD), is an inspection regime designed to screen subsea platform structural members for defects. A cracked weld, for example, can allow the ingress of sea water into the member which may create a point of failure for the structure. Operators therefore inspect these structural members on a regular basis to gain confidence that there has been no sea water ingress. Maritime businesses from all corners of the world who are involved in the fast-paced and innovative world of technology are reaping the rewards of exhibiting at Seawork. Cygnus introduces the new Cygnus DIVE Mk2 at Seawork with demonstrations on stand (B3) and in the Dive Tank. The new gauge boasts a number of key new features, including a super-bright AMOLED display, updated topside and reporting software and twin crystal probes to assist in taking measurements on highly attenuative materials such as cast iron, measuring link thickness of anchor chains and on heavily corroded steel.